We’ve all had the feeling of waking up in the morning after a night of restless sleep and feeling less than enthusiastic about the day ahead. This day is usually a Monday, and we vow to ourselves that the following night we will go to bed earlier to catch up on the night we feel we’ve lost over the previous night. It’s a great feeling when you can sleep in and not have to worry about restricting your sleep but sleeping in and oversleeping may be harming your body and wellbeing. We’ll guide you through the causes, side effects and remedies of oversleeping. Before delving into the theory of oversleeping, it’s important to understand what the recommended level of sleep is. The National Sleep Foundation has stated that the average sleep time amongst people aged 18 to 64 years is seven to nine hours per night. There isn’t an issue with extending your sleep beyond these hours; the problem is that there may be an underlying condition that may be triggering this need. It could be many things both mental and physical that could lead to you taking longer to getting into a deep sleep state. When we refer to oversleep, we’re not talking about people who will have a night of extra sleep a couple of times a month, because this happens to all of us. “long-sleepers” is the term given to people who regularly sleep for nine to ten hours per night and still function optimally. Long sleepers find it difficult to perform when they get less than this amount. It’s important to understand what the symptoms of oversleeping are so that you can identify if you’re suffering from it. The first step is determining, then you're able to treat. Seems obvious right? If you’re regularly sleeping over the average of 7 to 9 hours per night, then you may have an oversleeping problem. We all sometimes find it difficult to wake up in the morning when our alarm goes. If this is a common problem, even when you get the recommended number of sleep hours then you may be showing signs of an oversleeper. This difficulty waking up can extend into sleeping through your alarm. If you feel bouts of grogginess throughout the day with the frequent urge to go to sleep, then these can be symptoms of an oversleeper. You may also find it difficult to concentrate throughout the day which can then affect your performance at work. Alcohol can feel like a sedative making you feel tired leading to sleep. The issue is that it can give you a lower quality sleep where you have a reduced length of deep sleep. This will then make you feel like you need more sleep to feel fully rested. People who suffer from depression often suffer from oversleeping. This can be caused by many factors including people using sleep as a way to escape from the world or could be a change or imbalance to the circadian internal body clock rhythm. People react to medications in different ways so some potential side effects can affect some people while not harming others. Some medications can have the side effect of drowsiness which can make you feel constantly tired or need to sleep for extended hours. Before you take medication, be aware of the side effects and if it has too much of an adverse impact then consult your doctor, and they may be able to switch you to an alternative medication. Insomnia can interfere with your sleeping cycle by stopping you from falling asleep. This can mean that even though you’re in bed for 8-9 hours, you might only be sleeping for 5-6 hours and tossing and turning in between. If you have insomnia, you then feel like oversleeping to catch up on the earlier lost sleep, so you don’t feel tired. Sleep Apnea is a severe sleeping condition and occurs when the tissues in the airways collapse while you sleep leading to your airway being blocked. The result of this is that you will struggle to breathe which will wake you up in the middle of the night. This process can then repeat itself multiple times throughout the night. Sleep apnea will fragment your sleep and come the morning you’ll want to sleep for longer than usual because you’ve lost out on a significant amount of sleep due to being consistently woken up. Stress has been confirmed as affecting our sleeping habits. Think about it this way, if you’re in constant worry about a situation then when it’s time to sleep your brain will not be able to relax and drift off to sleep. So in the morning, you may oversleep to catch up on the lost sleep time from the night before. If you grind your teeth at night, you may not be aware that you even do it. A key symptom of this is if you regularly wake in the morning with facial bruising or soreness, but it also interrupts your sleep making you feel tired throughout the day. This can lead to you oversleeping as you try to compensate for lost sleep. 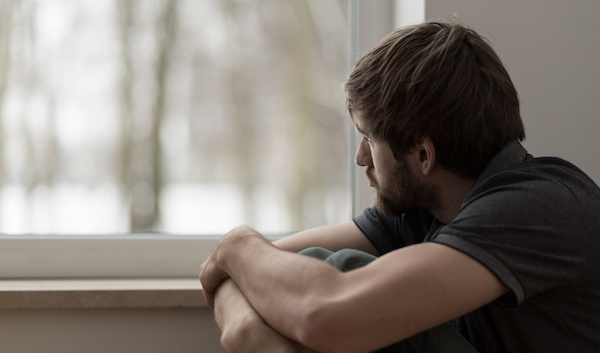 Seasonal Affective Disorder most commonly occurs during the winter months when there are lower levels of natural sunlight. This then interferes with the internal 24-hour body clock which has a knock effect on the way you feel and sleep. SAD can increase the production of Melatonin above normal levels which are responsible for making you feel sleepy. A lack of sunlight can also limit the amount of Serotonin present in the body which has been linked to symptoms of depression. This can make you feel like staying in bed and sleeping for more extended periods. The act of oversleeping doesn’t cause you to gain unwanted weight, but the combination of consuming too many calories and not enough physical activity can lead to weight gain. The more time you spend sleeping, the less time you spend out of bed moving and burning calories. 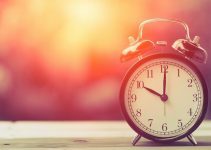 A Canadian study took place which monitored the sleeping habits of 276 people throughout six years and found that subjects who overslept were 20% more likely to become obese compared to those who got the recommended amount of sleep each night. Oversleeping now and again won’t be too troublesome but if you regularly oversleep then this can increase the chances of developing diabetes. Glucose tolerance describes the body's ability to process sugars efficiently. An inefficient glucose tolerance can lead to insulin resistance which can then develop into type 2 diabetes. By not having a balanced sleep cycle this can negatively affect the way the body processes glucose. One study revealed that people who consistently slept for more than 9 hours per night experienced a 50% higher likelihood of developing diabetes. Also, sleeping too little can also negatively affect the glucose processing ability of the body. It’s important to highlight that lack of sleep isn’t the only factor that can affect glucose balance so that the participants may have been suffering from other contributing factors. Spending extended periods in bed can cause the development or worsen of back pain. This is due to the lack of movement that your back Is having which can worsen if you sleep in an unnatural position or use an unsupportive mattress. If you do find it difficult not to oversleep, then you need to ensure that you get up at regular intervals, so your back doesn’t become too sore and also make sure that you have a high quality supporting mattress that matches your sleeping position and style. Lack of sleep and oversleeping have both been linked to increasing the risk of experiencing a stroke. When you sleep, the body regulates endocrine, metabolic and other bodily functions. If we sleep for too long or too little, this can interfere with the process. A study was conducted by the University of Cambridge where researchers analysed data from around 9700 Europeans over 11 years. The analysis concluded that people who slept for more than eight hours per night were 46% more likely to experience a stroke. This indicates that oversleeping could be identified as an essential symptom of a future stroke. Heart disease can be linked to a vast range of lifestyle habits which include your sleeping routine. Getting too much or too little sleep can contribute to the formation of heart disease. This may be heightened if heart disease is hereditary and runs in your family. The Nurses Health Study involved more than 71,000 middle ages women in exploring the link between heart health and sleep length. This found that women who sleep between nine and eleven hours were 38% more likely to develop coronary heart disease in comparison to normal eight-hour sleepers. Serotonin is essential for brain functioning so if you have an imbalance; then this can begin to cause the development of Serotonin. Lack of Serotonin has been linked to sleep disorders including oversleeping. It can result in you developing depression if you oversleep or if you already suffer from depression this can make it worse. This creates an issue because people who suffer from depression naturally begin to oversleep, however, they could be depressed because they’re oversleeping. A 2-year study took place in the Netherlands involving 1069 people which found that people who sleep for extended periods are more likely to suffer from persistent depression or anxiety in comparison to normal sleepers. If you’re struggling with anxiety, then the solution for most people is to get more sleep which then leads to you oversleeping consistently. However, it isn’t unusual for people to feel increased anxiety after getting extra sleep. The brain is incredibly complex which makes it even harder to both diagnose and to treat, so it’s essential to visit a medical professional. Sleep is incredibly important for the brain and many of these processes can only be carried out when you sleep. These processes include balancing neurotransmitters and removing waste byproducts so sleeping too little or too long can affect the brain. Researchers used data from the Lumosity brain-training platform to conclude that cognitive performance across three games peaked for people who had slept for around seven hours. Whereas performance dipped for people, who had slept for less or more than seven hours. Lack of sleep can also affect memory and recall ability. I’m sure you’ve experienced the feeling after you get too many hours of sleep where you begin to feel sluggish or have what feels like a layer of fogginess in your brain. It's often referred to as a “sleep hangover”. This generally makes you feel slow, and it's difficult to go about your typical day. The issue with a sleep hangover as it gives you the feeling of tiredness so you may end up going back to bed which then continues the unwanted cycle. Inconsistent sleep schedules can mean that you have numerous days where you oversleep. To combat this, you need to implement a consistent sleep and wake up time without swaying too far from it. 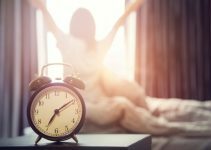 This will improve the effectiveness of your circadian rhythm which is your natural body clock, which will result in you not needing to deviate from the average seven to nine-hour sleep allotment. If you have a problem with oversleeping, then you need an alarm clock to alert you when it’s time to wake. 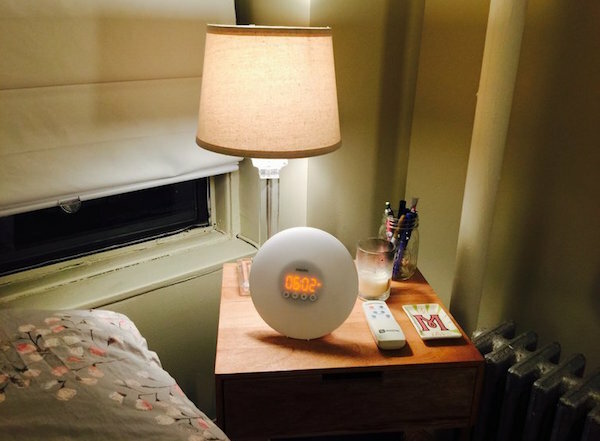 A light up alarm clock is the next step which gently wakes you up starting 30 minutes to an hour before your actual wake up time. You can then also use the backup alarm sound if you sleep through it. To encourage you to wake up fully it’s recommended that you place the alarm out of arms reach, which will lower the chances of you just turning it off and going back to sleep. Using a wake-up light alarm clock allows you to wake up feeling more refreshed as it wakes you up gradually instead of an alarm alert which jolts you out of your sleep. Although alcohol can make you feel drowsy and tired, it's bad for your sleep, drinking too close to your scheduled sleep time can interfere with your sleeping routine and pattern which will lead to less deep sleep resulting in you feeling the need to oversleep. Alcohol also works as a diuretic so your sleep may be interrupted more frequently throughout the night for you to use the toilet. Caffeine is a beneficial substance to give us the boost of energy that we need throughout the day. However, this can affect your sleeping cycle if you take it too close to bedtime leaving you tossing and turning with a surge of energy. We’re not saying cut it completely out of your life because we know it can be hard, but if you're going to consume caffeine then make sure that it's no later than early afternoon. Exercise can trigger a sense of greater well being and also consumes energy which gives you the feeling of being tired which will make it easier for you to fall asleep. The reason for oversleeping may be because it takes you too long to fall asleep so this will help to lower this amount of time. Most people don’t have a problem with allocating enough time for sleep; the issue is sticking to it properly. If you sit in bed scrolling through your phone, then this will negatively affect your sleeping pattern and can lead to oversleeping to make up for this time. Making a well-optimised sleeping environment is often simple to do. The first thing is to ensure that your mattress and pillow are supportive and comfortable. Without the correct support, your body will struggle to relax and repair itself through the night. Also, ensure that your room is as dark as possible, so you aren’t disturbed by mobile devices. Also block out all sources of sound whether this is by using earplugs,white noise or closing windows. As you can see, oversleeping can be a severe problem, and in some cases, can be just as bad as getting too little sleep. If this is something that you’re suffering from then, your first port of call should be to visit a medical specialist.